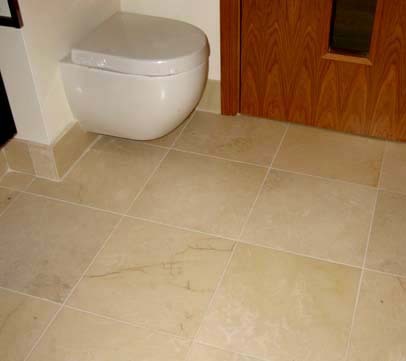 DISCOUNT MARBLE TILES Kitchen, Bathroom, Shower..
Limestone is of premium quality. It is available in almost any size and thickness. Please enquire about prices and availability. Usually about 6 weeks from order. All materials below are held in stock and are ready for immediate despatch. This timeless Italian marble will add warmth and class to any situation, even this one ! It is suitable for Kitchens, bathrooms, showers and flooring of any nature. Marble is much easier to maintain than many would have you believe. It is advisable not to use traditional bathroom cleaners and scourers, but instead a mild ph soap. There are specialist soaps available such as Easy Care but many supermarkets now supply a Marseilles type soap for use on natural materials such as limestone, marble and wood.